Do you like hot dogs? If so, what’s your favorite topping? Do you think hot dogs are as popular today as they were in the 1920s? Why or why not? Why do you think there are so many different versions of hot dogs? Why do you think they have so many different names for the same kind of food? 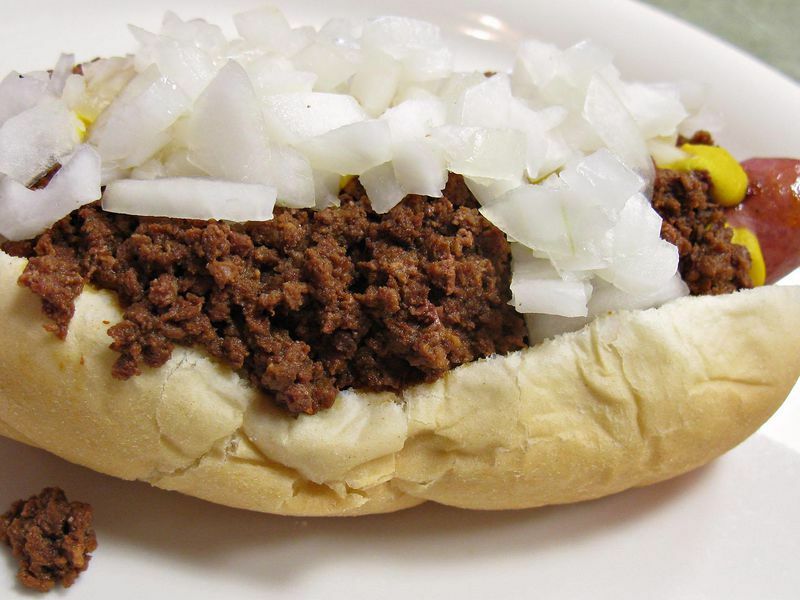 Today, hot dogs are the kind of food people serve at picnics and barbecues. Why do you think President Franklin D. Roosevelt thought they were an appropriate food to serve to the Queen of England in 1936? In 2014, the National Museum of American History launched a three-year project. The goal: to visit homes and communities across the United States to hear people’s stories. What are their interests and values? How do their experiences and opportunities define how people from all walks of life come together as Americans? Visit this site to explore the results of those conversations. In this History Explorer inquiry, high school students will develop their thinking in terms of continuity and change as they learn about U.S. immigration policy actions and their effects over time. This collection, compiled by the Smithsonian Learning Lab, provides an overview of immigration to the United States, emphasizing the increased immigration during the Gilded Age. As students complete the collection on their own, they will focus on immigrants’ motivations, the challenges they faced and the contributions they made to American society. Use these resources from the National Museum of American History to explore immigration with your students. Lessons include examination of maps, artifacts and exhibits as well as an electronic field trip. Read this Smithsonian article to learn how a confusing set of blocks sometimes sealed the fate of people who immigrated to the United States in the early 20th century. Encourage students to explore the nature and complexity of the movement of people, cultures, ideas and objects with this site from the Smithsonian Center for Education and Museum Studies. Through stories and artifacts, students will learn what happens when people move, what they take with them, what they leave behind and how they make their new place home. The Statue of Liberty was designed to be a beautiful and poetic representation of Liberty enlightening the world. Read this Smithsonian article to learn how this beacon of hope for new immigrants came to be. Then poll the class: Do students think the Statue of Liberty is still a shining symbol of liberty and freedom? Why or why not? Ellis Island, the nation’s first federal immigration station, opened in New York Harbor more than 125 years ago. Read this Smithsonian article to learn about facts and myths associated with the historic landmark.